Plenty of beverages offer short-term refreshment, but few promise long-term restoration. Kombucha has appealed for centuries for its refuted ability to cleanse and rejuvenate the body. Among the drink’s devotees, Toronto resident Zoey Shamai. 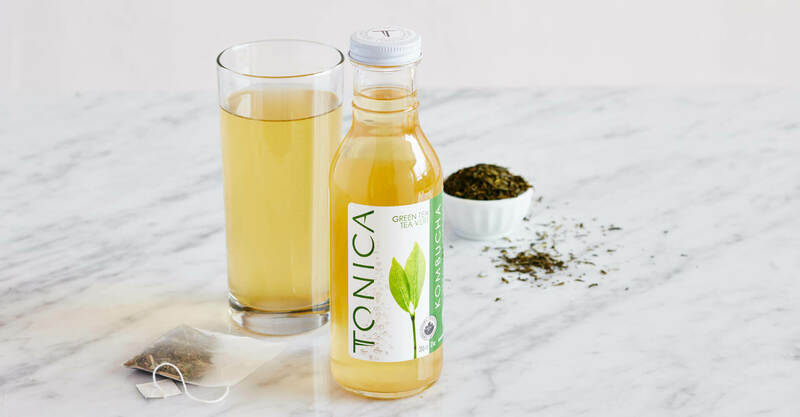 Since her discovery of kombucha a few years ago, she credits the beverage for lifting her metabolism and increasing her energy levels. 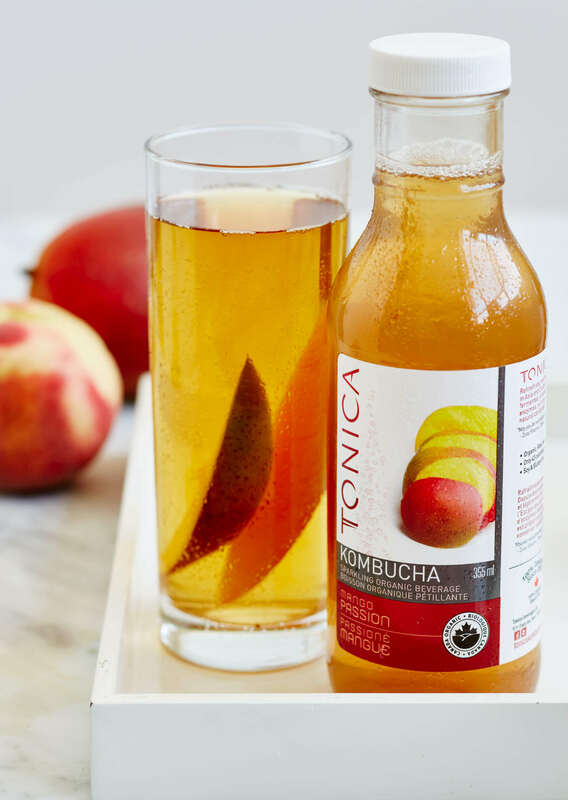 While its colouring and consistency may not appeal to everyone, in 2010 kombucha had become the fastest growing beverage category in the health industry (according to bevnet.com). 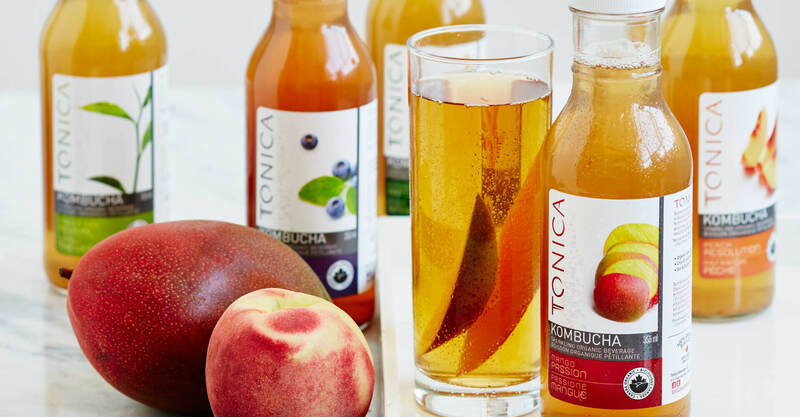 Heralded for its ability to aid digestion, cleanse the liver and rejuvenate your skin and hair, kombucha is brewed from a long fermenting process that mixes tea and sugar with a solid mass of yeasts and bacteria. This results in a sparkling organic beverage packed full of cleansing acids and digestive aiding enzymes. 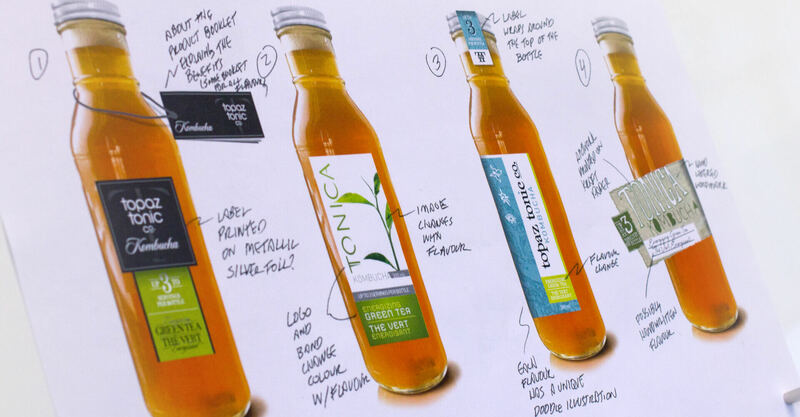 In 2007, frustrated by the quality and lack of availability of kombucha, Zoey recognized the opportunity to capitalize on the fast growing kombucha segment. In the kitchen of her downtown Toronto apartment, she experimented with flavouring techniques and began to develop a range of her homemade blends. Maintaining the raw and unpasteurized benefits of the beverage, she launched her “Fairy’s Tonic” label. She quickly attracted a following and found a niche in the holistic, health-minded market segment. Zoey soon discovered though that in order to reach a larger market segment and expand her distribution channels she needed to elevate her brand and packaging. In 2010 Zoey turned to us to rebrand The Fairy’s Tonic in order to broaden consumer appeal and develop packaging that could open new distribution channels. The current labeling had a do-it-yourself aesthetic with a campy homemade logo featuring a caricature image of Zoey herself. A personable approach worked fine within a selected health-conscious market, but broadening the brand opportunities required elevating the brand positioning. Our first step was to generate a list of possible names that would support the mainstream approach Zoey wished to achieve. 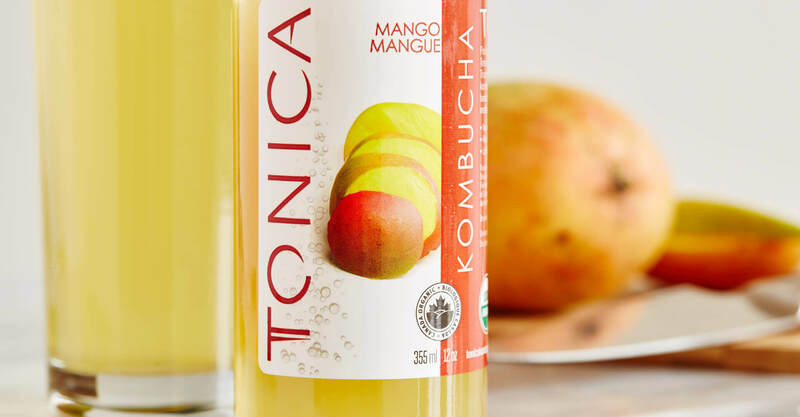 With the naming exercises, we looked to capture the natural qualities of kombucha, particularly its healing, elixir-like, anti-oxidizing, effervescent associations. 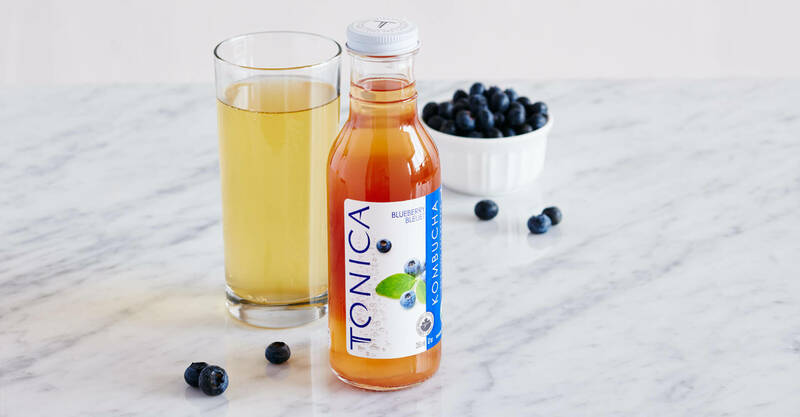 The name Tonica was selected as a balance between modern simplicity and as an homage to kombucha’s exotic, restorative, magical associations. The product portfolio was also expanded, with new flavours developed to capture the tastes and imaginations of the consumer. The shift in brand positioning and new name was the catalyst for the packaging design that looked to replace the existing grass roots sensibility. The final design features simple, modern typography to support a contemporary styling. 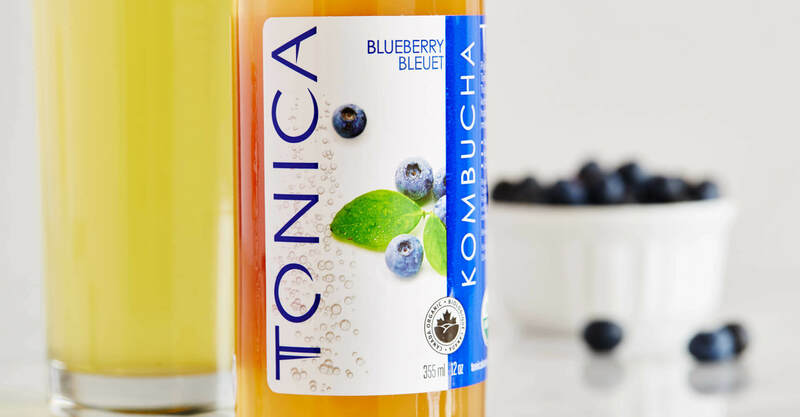 Subtle performance-based cues were incorporated to underscore kombucha’s digestive health benefits. 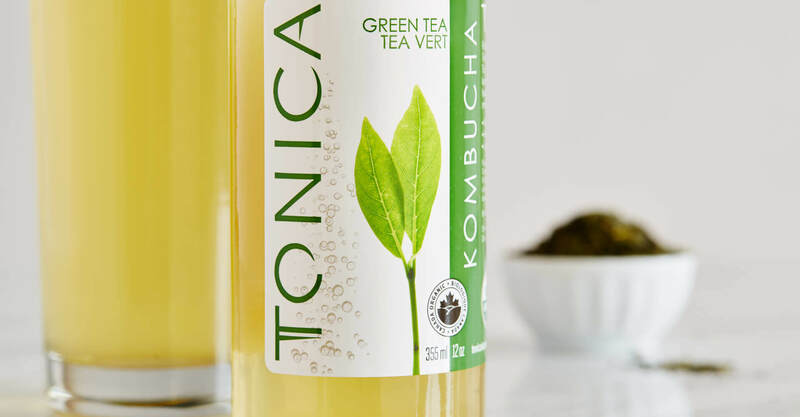 In highlighting the product offering, the word kombucha features prominently to ensure on-shelf recognition. Flavour-inspired names such as ‘Mango Passion’ and ‘Green Tea Revival’ were complimented by custom colour profiles that aid and ease consumer recognition. The product’s ‘lightness’ is expressed through the use of subtle, natural flavour-inspired imagery against a white background. The use of bubbles hint at the effervescent, sparkling nature of Tonica. A seal from ‘Canada Organic’ reinforces and legitimizes the brand’s healthy positioning. Jump has laid the path for the massive increase in business my company has seen over the past year by giving us a modern and sleek look that appeals to a very broad audience. 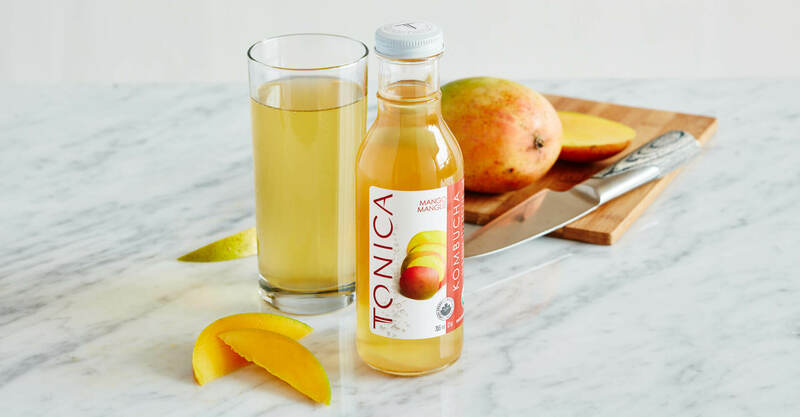 Kombucha is becoming a very ‘hot’ beverage right now, and Jump’s Tonica Kombucha design has made us the go-to brand for publicity around kombucha. I highly recommend and always direct other companies to Jump when they are seeking to go big with their business. And I love re-grouping with Jump when I have new projects to work on, their creative energy and insight continues to support our growth to new levels, and never disappoints. 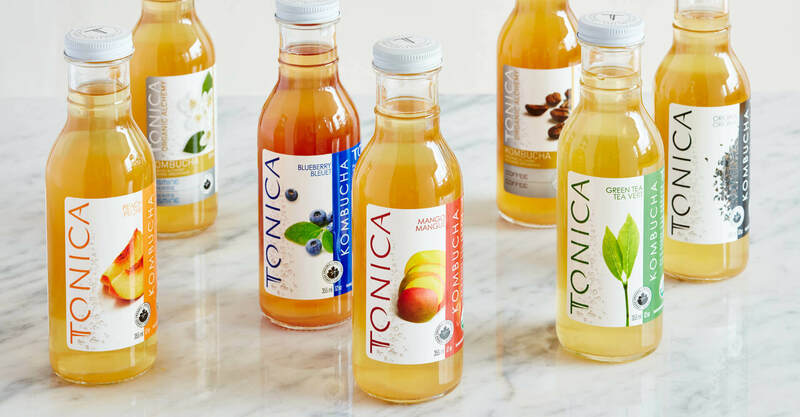 Following the re-branding, Tonica saw a massive increase in sales, with figures in the first quarter of 2012 nearly doubling those of the previous year. The number of stores that now carry the product has also risen exponentially from around 60 in 2010 to over 250 since the re-launch in 2011. 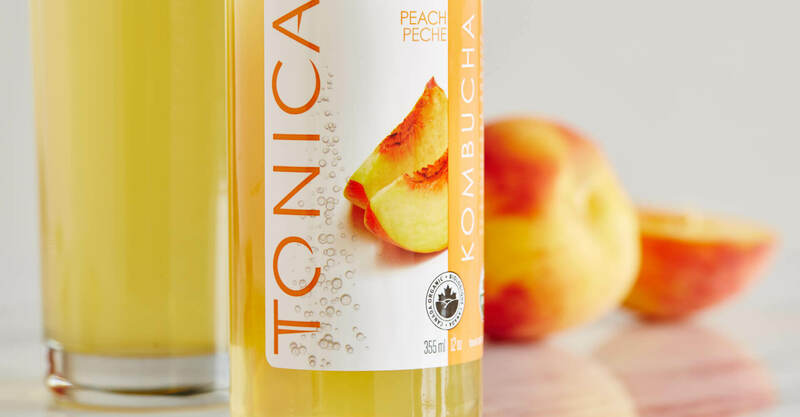 Whole Foods and Planet Organic list Tonica nationally and the product’s reach now extends across markets in Ontario, Montreal, and Vancouver with distribution in numerous channels. 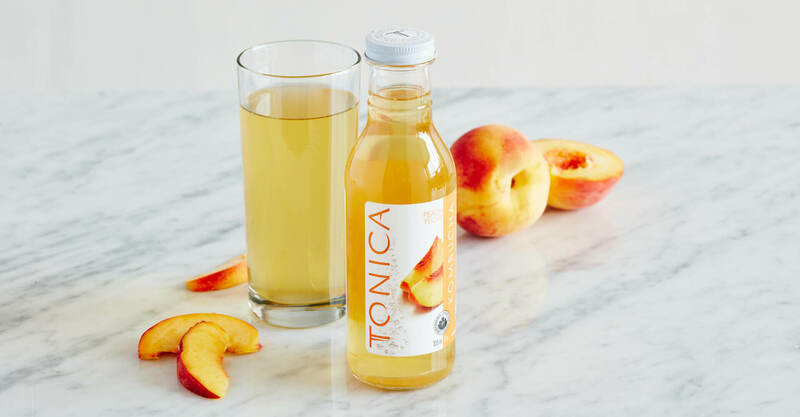 This rapid expansion has made Tonica the go-to brand for press in the kombucha segment with numerous profiles by national syndicates, culminating in the fall of 2012 with Tonica appearing on the CBC show, the Dragon’s Den.